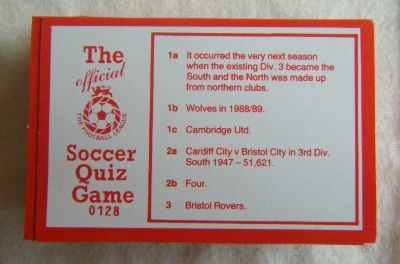 A simple football quiz game using the same idea as Soccer Master and the Great Football Game - get the answer right and move towards the goal. 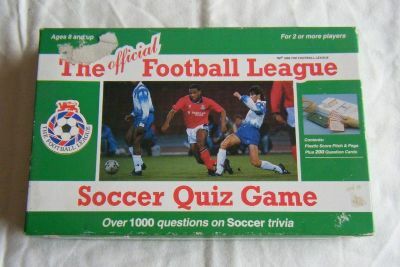 The OFFICIAL football league soccer quiz game no less. 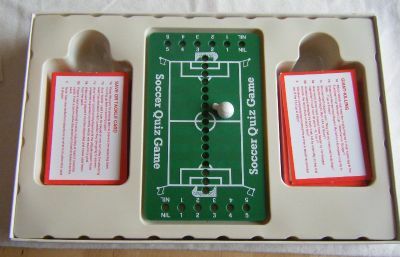 Nice neat board, 2 packs of questions and a ball marker. Keep answering questions correctly and move towards the goal. Get one wrong and possession switches. What could the questions be for these answers?